This is a pipe, with apologies to René Magritte, The Treachery of Images (Ceci n’est pas une pipe), in a little word play on the title of the 1929 surrealist masterpiece. This time of year, it is always good to look back and to find things for which we are thankful, real things that made us happy, and make us want to move forward in life. My pipes are some of those life things. They are always with me, physically or playing around in my memory. They never fail to perform a needed emotional lift just when I need it. I am happiest when I have my pipes around me. Well, also my grandchildren also fill in nicely if my pipes are not handy. Pipes even provide passionate succor even if not lit and billowing plumes of creamy smoke. Just knowing my pipes are “there” is enough. My pipes are my best inanimate friend. At times, a particular pipe takes the place of another voice, or a friendly, smiling face. They bring joy in a sometimes joyless world. My pipes encourage smiles through a thickening darkness. During holidays, such as those in front of us now, we often are reminded that it is a time of giving, not just things, but of oneself. 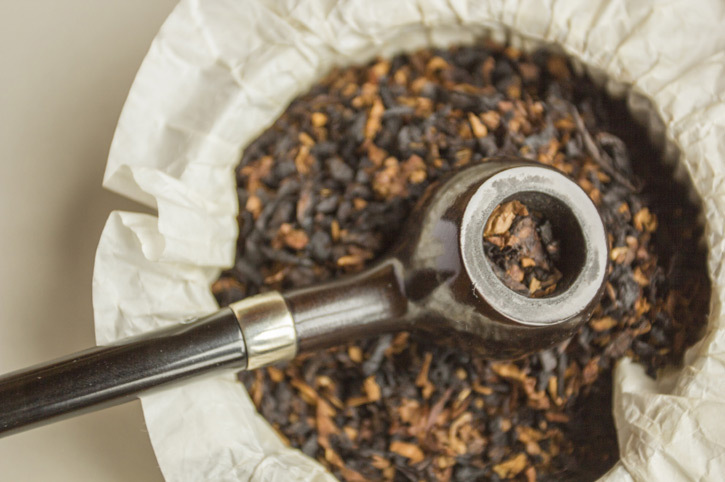 In the past, I have given friends pipes and tobacco. To some in today’s rather unforgiving society, that may sound like the worst thing in the world as a gift. 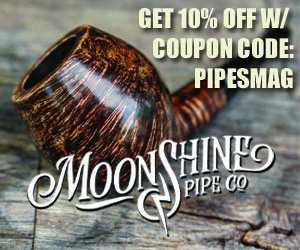 To me, gifting a pipe with some tobacco will provide a lifetime of love and pleasure. Today’s society notwithstanding, of course. A friend got me started on this wonderful journey more than 50 years ago. A simple bent billiard from a drugstore cardboard. The endowment was a Kaywoodie combined with a tin of Prince Albert neatly tied in a red ribbon. The card a simple message: I hope this gift brings you joy forever. Merry Christmas. And that is exactly what that long-ago offering has done: brought me joy forever. I smoke that Kaywoodie now and then and think back to the day so long ago and all the moments that have come and gone. Days have been plentiful with beauty. And there have been days of sadness as well, as in any life story. The Kaywoodie continues to connect me to that point in time. It’s almost a sci-fi time travel segment: I was there, and now I am here. And that connectedness goes a long way beyond just friendship and gifts. In this humblest of ways my life has been swaddled in that bent billiard, now caked, and scarred. The pipe has been around the world with me, on many a trip and dark corner. It was my talisman in times of stress and fear. Yes, fear. Frightful times in another place where danger was at hand. Fear on another occasion when a plane landed safely just barely catching a piece of the runway and avoiding disaster by dropping into the Gulf of Mexico. There was the frightful time when bullets flew close, singing their dreadful air-borne music near a holy site in Israel. My Kaywoodie, my good-luck charm from so many years ago, was with me. I clutched it often to make sure. So, the pipe is damaged and dented. Like me. But we are still here together and that is the important message. We are here to be with our friends and family in this winter of our thankfulness. I am forever grateful for that Kaywoodie and will take it with me when I make my last trip into the unknown as so many friends before me. Some things in our lives push themselves to the front of the line. It is my hope for all my pipe-smoking friends that you, too, have a pipe that speaks to you in evocative ways this time of year. My pipe collection, probably like yours, has grown over time. New, shiny, fancier pipes have arrived and nudged and nestled their way into my heart. There were days when the Edward’s Pipe Store in Atlanta, Ga., seemed like a second home. There was coffee steaming on the counter and pipes on the wall and in glass cases. Tobacco scent filled the store with its aroma, like vanilla ice cream on peach cobbler. That store was a place of dreams. And like my beloved Kaywoodie, with its small, rubbed smooth piece of wood that has latched onto me, my many other pipes bring a kind of ringing joy. Sublime joy. My pipes provide not only a sense of well-being, but also act as a repository of memories as time lengthens. We often overlook our blessings in life and forget that we should be grateful. 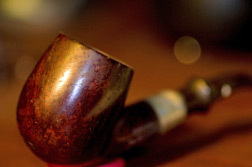 In the midst of chaos and clamor, we, the pipe smoker, have a way to shield all that noise. Our pipes. Like me, at times you probably find yourself needing a friend, something to lift spirits, to buoy mind and body above the roar of the crowd. My pipes fill that role nicely. I hope you have such a buoy out there holding you aloft from the crashing waves and keeping your thoughts straight and deep, down there where the rich veins of quiet and peace reside. Happy holidays, all. Smoke in peace and harmony with yourself and others. And if you listen closely, that is the story your pipe so expertly relates. Fine essay! Had to interrupt in the middle to walk a hole on the golf course and smoke a beloved pipe and contemplate a bit. What a wonderful piece of writing. Thank you. Oh! How this article resonates, as I sit with a classic claw & egg meerschaum on this quiet Christmas Eve. It was a Christmas gift from my father back in 1967, or so; and it has been my companion — and connection to him — for over 50 years.